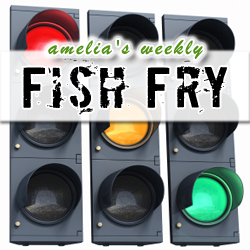 This week’s Fish Fry is all about embedded design – from microcontrollers to tools. We examine why the death of 8-bit MCUs might not be so close at hand and what the new l-Jet in-circuit debugging probe is all about. Then, it’s off to some truly strange “News You May Have Missed” where we see how Nintendo is teaming up with Toyota to make driving more like a video game. New Chalk Talk – It’s 2022: Do You Know What Your FPGA Is?